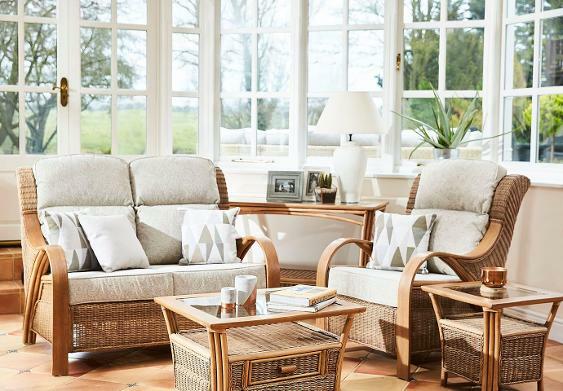 Waterford’s sweeping curves in natural wash rattan, smooth planed arms and luxurious cushions result in a classic look. With several seating options you can create layouts suitable for any number of interior schemes. Stylish and functional accessories are available including an attractive console table.. Shown in Natural Wash finish with Woodthorpe, Gold and Lavender fabrics.